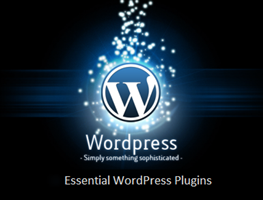 All In One WP Security: All round best WordPress security plugin! Disable Comments: Allows administrators to globally disable comments on their site. Comments can be disabled according to post type. TinyMCE Advanced: Enables advanced features and plugins in TinyMCE, the visual editor. CMS Tree Page View: Use the tree view to edit, view, add pages and search pages. And with drag and drop you can rearrange the order of your pages. Admin Menu Editor: Lets you directly edit the WordPress admin menu. You can re-order, hide or rename existing menus, add custom menus and more. Admin Branding and Tweaks: Allows you to easily control some tweaks of the WordPress admin side and login screen. Comet Cache: Advanced WP caching plugin inspired by simplicity. PageSpeed: Help you to get a passing grade in Google PageSpeed Insight. Speed Booster Pack: Allows you to improve your page loading speed and get a higher score on the major speed testing services such as GTmetrix, Google PageSpeed or other speed testing tools. Advanced Database Cleaner: Clean up your database by deleting unused data such as ‘revisions’, ‘drafts’, ‘orphan options’, etc. Yoast SEO: All-in-one SEO solution, including on-page content analysis, XML sitemaps and much more. WP Meta SEO: To fill meta for content, images and main SEO info in a single view. Google Analytics Dashboard for WP: Displays Google Analytics reports in your WordPress Dashboard by inserting the latest Google Analytics tracking code in your pages. WP User Avatar: Use any image from your WP Media Library as a custom user avatar. Shareaholic: The world’s leading all-in-one Content Amplification Platform that helps grow your website traffic, engagement, conversions & monetization. TablePress: Embed beautiful and feature-rich tables into your posts and pages, without having to write code. Page Builder by SiteOrigin: Build responsive page layouts using the widgets you know and love using this simple drag and drop page builder. Smart Slider 3: Responsive WordPress slider plugin to create beautiful sliders in the next generation visual editor.